Today’s golf shoes provide terrific comfort, exceptional traction as well as a host of features that keep feet dry and well-ventilated over an 18-hole round with friends. How do you pick the most comfortable shoes for walking the golf course? With walking the golf course finding a surge in recent popularity, golf equipment manufacturers have emphasized creating shoes that are not only high-performing but also share common traits typically associated with best athletic shoes available on the market today. Here’s a list of the best golf shoes for walking your next round. 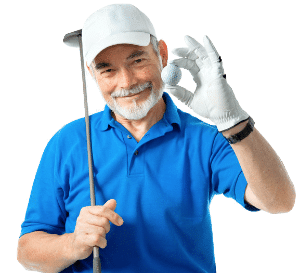 In this modern age of golf where an amateur can easily play with the same equipment as the professionals, the question is commonly asked about how a beginner golfer can get a leg up on reducing their handicap. Using the right golf shoes is one way to get ahead. 4.1 What are the different types of golf shoes available and what are their features? 4.2 Should I pick spiked or spikeless shoes? 4.3 Why do I need shoes specifically for playing golf? 4.4 How many miles can I expect to walk on the golf course without feeling sore with golf shoes? 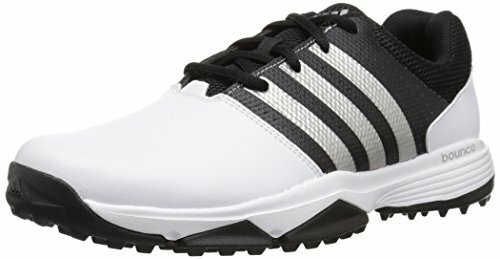 4.5 Can golf shoes help me gain more stability with my swing? For the golfer who prefers a spiked sole but wants the comfort of a spikeless shoe when walking the course, a great alternative is the Adidas Tech Response 4.0 golf shoe. Very lightweight, the Tech Response 4.0 golf shoe responded well to the rigors of walking 18 holes with little friction to our feet. With an enhanced mesh upper layer, the shoe keeps your feet dry even though it is missing waterproof protection. A spiked sole provides incredible traction throughout your swing. We were blown away at the combination of lightweight feel and then the exceptional stability from the outer sole. Comfort in the Tech Response 4.0 golf shoe begins with the lightweight material. These shoes did not burden us while walking the course with additional weight, so we felt as fresh at the end of our round as we did at the beginning. The EVA midsole aided each step in these shoes for a premium walking experience. The outer layer of the Tech Response 4.0 golf shoe is created from a high-quality mesh that gives the foot all the air it needs to stay dry during a round. These shoes, however, do not have waterproofing, so we noticed slight penetration of moisture during early morning rounds. Something to consider if you play in areas that receive a lot of rain. Waterproofing on the Tech Response 4.0 golf shoe is missing, and that is a great regret with this shoe because otherwise, it is a wonderfully high performer. The insole is boosted by the EVA midsole insert. The insert keeps the foot stable throughout walking the course and helps provide exceptional comfort. In addition to the midsole insert, the Tech Response 4.0 golf shoe has a rounded toe for a larger landing area when your foot contacts the ground. This additional feature reduces friction and potential blistering. Adidas’ patented TRAXION outsole aids in providing additional stability when coupled with the six spike configuration. The outsole has been streamlined to prevent slipping as well as add durability to the shoe. The Tech Response 4.0 golf shoe is one of the best golf shoes for walking primarily because of the supple outsole. The Adidas 360 Traxion golf shoe has been designed to be lightweight as well as a first-rate waterproof golf shoe. We’re happy to report that Adidas has been successful on both fronts as the company’s 360 Traxion provides one of the most pleasant walking experiences we’ve ever experienced in a golf shoe. With the company’s patented Climastorm waterproofing technology leading a host of features that make the 360 Traxion shoe a stellar addition to other golf shoes that assist with stability. In addition to these great features, the Adidas 360 Traxion golf shoe also has one of the most durable outsoles on the market today. The power-transferring midsole not only boosts the cushion and comfort of the Adidas 360 Traxion golf shoe but also helps moves your power from one leg onto the other. We felt that the interior of this shoe kept our foot in place whether we were walking or swinging and that solid feel provided great confidence throughout our round. Now the upper layer of the Adidas 360 Traxion golf shoe is made from synthetic material and while that may turn away some golfers who prefer leather, we’re here to tell you that would be a big mistake. The upper layer on the 360 Traxion supports the foot but also allows it to breathe easily. Where the Adidas 360 Traxion golf shoe really shines is with the Climastorm waterproofing process. The 360 Traxion shoe kept our feet out of the water on even the wettest mornings, and the high performance of the waterproofing knocked us out. The insole on the 360 Traxion golf shoe has a cloud foam sock-liner that aided the comfort of walking several miles as well as provided much needed cushioning on each step. The break-in period of the shoe was incredibly short, and we attribute that mostly to the superior construction of the midsole. A soft, spikeless outsole rounds out the features of the Adidas 360 Traxion golf shoe. We found that the traction of the Adidas 360 Traxion was top-notch throughout the twists and turns of the golf swing. A wide base at the toe of the shoe also helped keep our follow-throughs level. 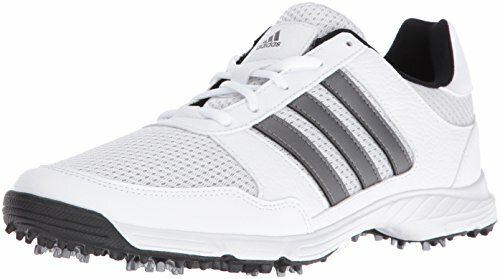 Due to the collection of sterling features, the Adidas 360 Traxion golf shoe is one of the best golf shoes for walking the course. The ECCO Biom Hybrid 2 Hydromax golf shoe is made from premium leather that gives the shoe a professional level of class and also teases the excellent features awaiting the golfer. The exterior of the shoe is soft, very breathable and treated with Hydromax and an anti-stain formula that keeps the water out of the interior. ECCO has spent thousands of hours finding the best way to support the foot of the golfer and their hard work has resulted in the Biom Hybrid 2 Hydromax, one of the best golf shoes for walking the layout at your local club. The yak leather shell on the ECCO Biom Hybrid 2 Hydromax golf shoe maintains a coolness on the inside that is quite comfortable when walking the course. What is great about the Biom Hybrid 2 Hydromax is that the softness of the shoe makes it lightweight and doesn’t feel suffocating on your feet even during uphill walks. 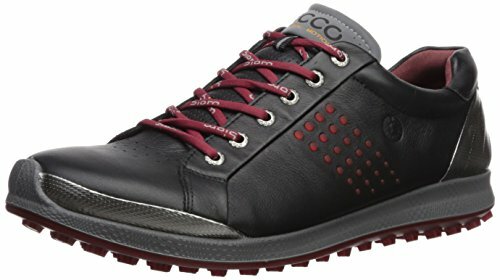 The ECCO Biom Hybrid 2 Hydromax has terrific waterproof coverage aided by the previously mentioned Hydromax technology as well as an ECCO anti-stain formula that keeps the leather protected from various weather events such as rain. The interior on the ECCO Biom Hybrid 2 Hydromax golf shoe features a brand new insole that has been designed to help the foot stay in place during movement. Too often, slipping feet, even within the shoe can cause a shifting of weight that robs power from the swing. These shoes have a durable interior that keeps your feet locked in place during swings. One of the reasons that ECCO has a presence on the professional golf tours is because, not only are they very comfortable, but they have premium traction on their outsoles. The ECCO Biom Hybrid 2 Hydromax is no exception with a wear-resistant outsole that provides grip from any location on the course. The FootJoy Pro SL is one of the best golf shoes for walking because of the high-quality construction you expect from the company creating an affordable shoe that delivers terrific traction. Made with total waterproof protection on the leather exterior, the Pro SL is a golf shoe that provides a custom feel because of the enhanced technology. We found that the Pro SL is incredibly durable, yet has a quick break-in period to get you walking a full 18 holes quickly. With a rounded toe providing plenty of room for your foot, the Pro SL is one of the most comfortable golf shoes we’ve come across in quite some time. Professional golfers love FootJoy shoes because of their high-performance and exceptional comfort. The Pro SL is one of FootJoy’s most advanced shoes for the amateur, built around an innovative design that provides a custom fit for a fraction of the price. The Pro SL is one of the most comfortable shoes on this list due to the fully rounded toe that assists the golfer by reducing friction between foot and insole on each step. The added comfort gives the golfer a cushion that helps on long walks across the course. The exterior of the Pro SL is made from FootJoy’s patented ChromoSkin leather giving the golfer a breathable surface that is soft and lightweight, thereby reducing the weight of the shoe. As a result, the golfer’s feet stay fresh and dry throughout the round. Also, the exterior has been treated with FootJoy’s waterproofing process for dynamic coverage that repels water and keeps feet dry through any wet condition. The company guarantees that the waterproofing will stay strong for at least two years. Next, the exceptional insole of the Pro SL had us marveling at the cushion and support provided to the arches of our feet. When coupled with the versatile spikeless outsole that blends two types of foam to hold the foot, the Pro SL does an extraordinary job of keeping the foot stable throughout the golf swing. If you are worried about the spikeless sole, please note that our feet stayed secured and locked to the ground through the duration of our round. Another spikeless shoe that delivers the goods and provides a great experience when walking is the Skechers Performance Go Golf Drive 2 golf shoe. The company has created several lines of golf shoes that have been designed to help you make the transition to walking the course. One of their crown jewels is the Go Golf Drive 2 golf shoe because of its comfort and a terrific number of features. With exceptional cushioning on the inner and outer sole as well as a strong layer of waterproofing, the Go Golf Drive 2 golf shoe ranks high on our list of shoes that require a brief break-in period and always delivers a pleasant walking experience. One of the reasons that the Go Golf Drive 2 golf shoe is such a comfortable walking shoe is due to the company’s patented Goga Mat technology that provides amazing cushioning to the bottom of your feet. In addition to helping the interior of the shoe, the Goga Mat technology supports your mid-step for a stability that you can feel in every movement. The outer layer of the Go Golf Drive 2 is a faux leather that could turn some golfers looking for a real leather exterior away. The layer, however, is accented with side perforation that enables the shoe to cool on its own, keeping feet dry throughout the round. Waterproofing on the Go Golf Drive 2 golf shoe is provided by Sketchers patented H2GO water-resistant design. We played with these shoes in a variety of wet weather conditions, and we can assure you that our socks never felt a drop of moisture. The insole of the shoe is aided by an insert that holds the arch of the foot stable when walking. However, we found that the insert is soft enough so that it molds itself to the bottom of your foot to aid in the overall cushioning provided by the shoe. Finally, the outer sole is constructed with a highly durable rubber traction plate. These shoes are spikeless, but the studs always kept our lower bodies in sync and locked to the ground when we need the stability the most. A favorite of professional golfer Rickie Fowler, the Puma Ignite Pwrsport golf shoe deserves a ton of credit for its sleek design and wonderful performance. The secret of the success with the Ignite Pwrsport shoe lies in the unique design that gives the golfer’s foot premium support as well as a ton of control during the swing. An athletically designed shoe, the Puma Ignite Pwrsport delivers high performance in a spikeless package with a waterproof mesh exterior and one of the softest insoles we’ve ever walked a round with while taking in 18 holes. 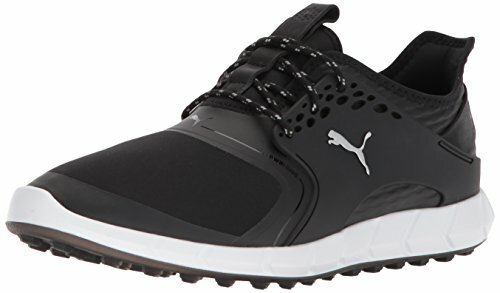 Puma has designed the Ignite Pwrsport golf shoe to look no different than your random athletic trainer but deliver a comfort level associated with a leisure shoe. On the whole, the company is very successful as the Ignite Pwrsport is one of the best golf shoes for walking because it repeatedly brings maximum comfort to the golfer’s foot. The mesh exterior gives golfers the confidence that their foot will stay dry and untouched by moisture regardless of any inclement weather that may find you on the links. We found that the mesh upper layer kept the shoe well ventilated even after four-plus miles of walking. The Puma Ignite Pwrsport golf shoe has premium waterproofing that does come with a slight catch. The company only guarantees that the waterproofing will last one year. Most upper-tier golf shoes have a two-year waterproofing guarantee. That aside, fresh from the box these shoes keep the water away from your socks for a clean day at the course. The insole and outsole of the Puma Ignite Pwrsport golf shoe are dependent on the company’s PWRFRAME and PWRCAGE technology. The PWRFRAME feature reinforces and supports the foot’s place within the shoe. As a result, the golfer can expect a cushioned midsole that is a dream to walk 18 holes upon. The PWRCAGE locks down the foot and promotes a stability that takes advantage of the GripZone Traction outsole that utilizes hexagons studs to keep the golfer locked into the turf through their hardest swings. Because of the athletic look and premium construction, the Puma Ignite Pwrsport is one of the best golf shoes for walking the course. A spikeless entry-level shoe from Callaway, the Balboa Vent golf shoe provides a surprisingly pleasant experience when walking the links. An upper layer that is vented with the company’s mesh Opti-Vent technology provided an experience that had our feet cool and dry on a particularly warm day at the course. The Dura-Rubber outsole was also a revelation as it maintained a comfort level that was as strong on the 18th hole as it was when we first teed off to start our round. A high-grade sock-liner rounded out what is a great shoe for a very affordable price. Due to the breathable upper layer and soft interior, the Balboa Vent golf shoe is very comfortable in warm weather. Since the Balboa Vent golf shoe lacks waterproofing coverage, we wanted to test the comfort of these shoes in the heat. We are happy to report that these shoes were very gentle over 18 holes and left our feet feeling remarkably fresh and blister free when we finished our round. The upper layer on the Balboa Vent golf shoe is one of the best we tested. But that does come with a downside. Due to the mesh layer, Callaway did not waterproof these shoes. Now that may be an issue if you play in wetter climates, but for the summer, these shoes are amazing at how cool they keep your feet. As we stated before, waterproofing is non-existent on the Balboa Vent golf shoe. The interior of the Balboa Vent golf shoe is boosted by an EVA midsole with Callaway’s Opti-Soft technology. What we found during our testing is that the midsole kept our feet stable through the back and downswing as well as kept us secure at impact. Our feet did not slide in these shoes, and we found them very comforting as we walked the course. While some golfers prefer a spiked shoe, for walking, the spikeless shoe is ideal due to its flexibility, but that point becomes moot if the shoe does not deliver stability. We found that the Balboa Vent shoe’s spikeless design provides incredible traction throughout our swing’s rotation. 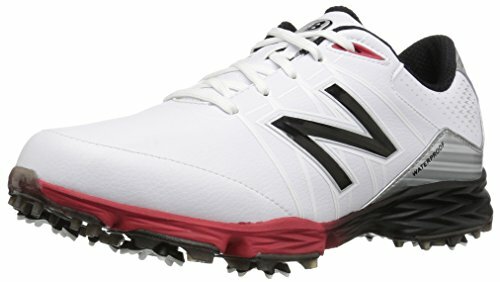 Another spiked golf shoe that has the look and feel of a walking shoe is the New Balance NBG2004 golf shoe. The company has taken their success in creating some of the world’s best running shoes and created flexible, yet incredibly strong, golf shoes. The New Balance NBG2004 golf shoe couples a waterproof leather upper layer that breathes very well with an interior that is aided by an insert that cushions as well as any shoe we’ve tested. A Slim-Lok cleat system gives this shoe a stable base that keeps the lower body steady when swinging the driver hard off the tee box. The New Balance NBG2004 golf shoe provides wonderful comfort even though it is a spiked shoe with a very rigid base. You may find it takes a bit of time to break in these shoes but the time is well worth the effort, especially if you are looking for a very comfortable spiked golf shoe. The upper layer on the New Balance NBG2004 golf shoe is made from a microfiber that enhances the premium leather exterior. The company’s FantomFit technology also assists the upper layer in providing additional support of the foot. This upper layer was one of our favorite on the list because it is so well constructed. New Balance’s waterproofing process keeps the interior dry regardless of any wet weather you may encounter. Even with the waterproof protection, this upper layer breathes incredibly well, and we felt our feet were never too hot during warm weather rounds. The insole is cushioned and designed like most of New Balance’s running shoes to protect the foot and give the toes a wide area to spread out on impact with the ground. This helps the walking golfer who will use these shoes to walk 18 holes reduce the repeated pounding against the ground. The outsole on the New Balance NBG2004 golf shoe moves naturally with your foot and is supple enough to provide a flexibility rarely seen in spiked golf shoes. The six-prong spikes kept us secure through our hardest swings yet allowed us to rotate easily on our takeaway. How the golf shoe feels on your feet during a round is incredibly important. Having stable feet promotes confidence in your swing as well improves contact with the golf ball at impact. By feeling comfortable in your golf shoes, whether they be spiked or spikeless, you are giving yourself the best chance to post your lowest score ever. Comfort in the golf shoe comes from three areas. The first is how the shoe feels during movement on the course. Golfers who prefer to walk the course are becoming more and more popular, as a result, golf shoe manufacturers are tailoring their shoes to provide an enhanced cushion on the feet. Next, how the bottom of the shoe feels during the stride is crucial in providing a solid walking experience. And finally, the material used to construct the shoe aid in helping keep the feet dry throughout the round. The outer layer of the shoe that rests against the top of the foot is very important for providing breathability. Why is it important for the shoe to allow airflow to the foot? Well, it helps keep the foot dry so that the shoe doesn’t become a humid box that creates sweat on the skin. By having dry feet, the golfer experiences added comfort during walking and when it comes time to strike the golf ball. Golf shoes have made tremendous strides in utilizing materials that help keep your feet well ventilated on and off the course. By finding a shoe that breathes well, you are making sure that your feet stay fresh throughout the round. This is especially true during the summer when most golf is played because keeping sweat away from the foot improves stability through the swing. For golfers who love to play golf year round, finding shoes that are waterproof is a necessity. Waterproof shoes help not only on those rainy days but also in the morning when the grass holds dew. Having your feet get wet on the first hole can ruin a round because no one likes the feeling of wet socks wrapped around their feet. In turn, your stability and confidence go down the drain as you miserably suffer through the remainder of the round. By having waterproof shoes, you assure that your feet will stay cool and dry throughout the day. For top performance, you want to be able to not worry about things like dry feet and instead focus on the shot that lies ahead. So, finding shoes that are waterproof are crucial to helping the mental side of your game. How a shoe feels on the inside is everything to a golfer. If the shoe feels stiff or there is not enough cushion on the interior, then the golfer can feel unsteady about the foundation of their swing. Golf manufacturers have gone out of their way to improve the insoles of their shoes for this very reason. By providing a comfortable experience directly to the bottom of your feet, the insole of the shoe helps with confidence as well as stability. Over time, a great insole will mold itself to the bottom of the golfer’s foot providing exceptional feel throughout the swing. Judging an insole can be difficult because all feet are not the same, so golfers of all shapes and sizes can have different responses to the quality of the interior of the shoe. That said, these criteria are based upon comfort and feel while using the shoe. One of the most important areas of the shoe that are directly related to how a golfer will feel overall about the golf shoe is due to the outsole. Most outsoles are made from rigid compounds that stabilize the shoe as well as provide a home to the spikes or studs connected to the bottom. Outsoles can also be softer, especially when you are dealing with a spikeless shoe. A golfer’s response to a golf shoe is primarily based on how they feel the outsole is responding to their feet and walking style. Like insoles, people can have differing experiences with outsoles, but this criteria will primarily take into account the quality of construction as well as the comfort provided during walking. Outsoles are the backbone of the golf shoe and, as a result, are crucial to the overall performance of the shoe. 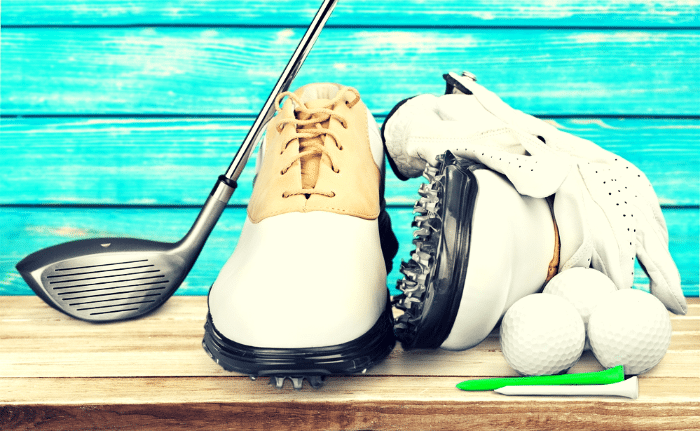 What are the different types of golf shoes available and what are their features? There are several types of golf shoes on the market that provides traction, style, and quality to the weekend warrior. The first is the spiked golf shoe that is preferred by younger amateurs as well as professional golfers. The spiked shoe has a rigid outsole constructed of compound materials that provide strength as well as exceptional grip. The downside to spiked shoes is that they are tougher to break in and can be hard on your feet over the course of a round. Next, the spikeless shoe is made for comfort. Instead of spikes, the shoe has softer studs or dimples that take the place of flared, hard plastic spikes. The outsole is softer on spikeless shoes making spikeless shoes the preferred shoe for walking golfers due to their short break-in period and overall comfort. Finally, there remains a small corner of the market that utilizes the old metal spikes that were popular during the days of Arnold Palmer and Jack Nicklaus. Made with tough leather and hard rubber soles, the metal spikes have faded in popularity due to their stiffness as well as the damage they do on golf courses. Should I pick spiked or spikeless shoes? Golfers can be very picky about their style of golf shoe. With the recent surge in popularity of the spikeless golf shoe, the debate has reached a fever pitch on what shoe is better. Is it spikeless or spiked? For most golfers, the difference is about the feel of the shoe as it comes into contact with the turf. Golfers who swear by spiked golf shoes claim that their grip is better throughout the golf swing with spikes whereas golfers who tout spikeless golf shoes claim that not only do they not lose grip but their preferred shoe is much more comfortable. In comparison, spiked golf shoes have actual spikes on the outsole of the shoe whereas spikeless golf shoes replace the spikes with rubberized studs that aid in gripping the ground during the swing. When deciding between the two options, it is extremely important to understand how the two differ in construction. Spiked shoes tend to have a more rigid outsole whereas the spikeless sole is softer and pliable. Older golfers love spikeless shoes due to their comfort, but younger, more competitive golfers prefer the feel provided by spikes. Golfers who hate spikeless shoes complain about their inability to grip the turf in wet weather although manufacturers have created better soles recently to combat that problem. No one argues that spikeless shoes are not easier on the golf course. The lack of a hard spike does help the health of the grounds over the long run, but the adjustment in feel may not be worth the trade for some golfers. In the end, your preference of shoe will be based on your preference of features. The days where one type of shoe reigned over the other is now gone. Both styles of shoes offer tremendous benefits and high performance. Whether it be spiked or spikeless, either shoe can have you playing for your personal best score. 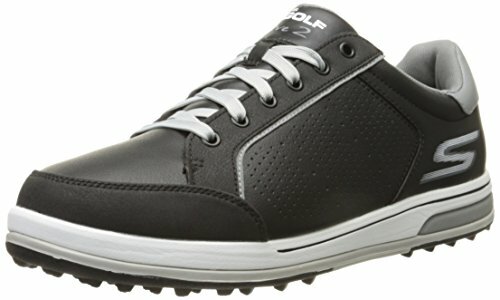 Why do I need shoes specifically for playing golf? The primary reason for wearing golf shoes is because of the spikes on the bottom of the shoe anchor the lower body during the golf swing. When your feet slide or become unstable during the swing, you lose your power as it is transferred to the golf ball. Therefore, golf shoes provide an essential service by keeping the lower body stable during the twisting and turning of the swing. Many amateurs don’t understand the difference between buying a specifically designed golf shoe over wearing regular athletic shoes, but they are missing out on the improvements that a crafted shoe can make on an individual’s golf game. By anchoring your lower body to the ground, you allow the body to work in sync to deliver a powerful downswing that improves contact with the golf ball at impact. Beginning players would help their learning curve immensely by finding a quality pair of golf shoes when they start their lessons because it would remove the uncertainty of shifting feet during the swing. How many miles can I expect to walk on the golf course without feeling sore with golf shoes? The average golf course runs 6500 yards in length, meaning the walking golfer can expect to walk roughly 4 miles over an 18-hole round. When you take into account the walking to the clubhouse, between greens and tee boxes, as well as any practice the golfer may do before the round, you are looking at a day that will total up to 6 miles of total walking. With that amount of walking it is easy to assume that your feet will pay the price in new golf shoes that have not been broken in yet. If you are playing in spiked golf shoes with a rigid outsole, it is important to slowly break-in these shoes over time rather than hitting the course and hoping the shoes won’t damage your feet. Blisters caused by ill-fitting shoes can hang around for days and, if not treated properly with topical creams and solutions, can become infected causing even greater time away from the course. Can golf shoes help me gain more stability with my swing? Yes, golf shoes can help you gain stability with your swing. There are three major areas that the golf shoe helps during a golf swing. They are balance, stability, and flexibility. Golf shoes help with balance because they are designed to keep your feet connected to the ground throughout the swing. If you look at a golf shoe, you will notice that they are wider along the base of the shoe. This is intentional because it helps keep the lower half of the body steady during the swing to maximize swing speed. This is also helps to find the best golf shoes for wide feet. Stability is also helped with golf shoes because of their design. Whether you choose spiked or spikeless shoes, either option will make a connection with the turf that allows for traction and optimum gripping throughout the downswing. And finally, golf shoes help with flexibility during those tough shots where your feet find themselves on uneven ground. Having flexible golf shoes allows you to steady your body by having the spikes or studs grip into the playing surface.